It was a fancy French skincare store, many years ago in a big city mall, and I walked in...because of that smell. It was DELICIOUS, and they touted their products as being 95% natural (which is pretty good). They use essential oils in their products, and one of the most powerful of these was something called Helichrysum essential oil. The problem: This place was WAY out of my price range. Like CRAZY out of line. It's just incredible what women (and men) will spend on products when they can make their own! Because of this experience, I became intrigued with using essential oils to help improve the appearance of my own skin, and I began experimenting and researching. Inexplicable things happen to your face as you become a middle aged woman. Like, your skin becomes saggy; wrinkles become prominent; your eyelids hang down a bit (or, a lot). You suddenly have deep smile lines! Your cheeks even seem to droop. Your chest even wrinkles! Not to mention---the turkey neck. It's easy to start obsessing over these things. Let's be real. These changes in our appearances are inevitable. Change in and of itself is inevitable. Getting older, and therefore experiencing that older appearance WILL happen. It's how you handle aging that counts. I want to laugh (without worrying about my smile lines)! I want to cry if I need to (without worrying about ruining my eyes). I want to go out in the sunshine and get that Vitamin D (without worrying that my skin will turn into a wrinkled prune). I want to live my life, and I really do want to age gracefully, not stupidly. Let’s find out how essential oils can help the youthfulness, anti-aging, and healing of your skin! **NOTE: Would you like a free copy of my guide to 12 easy to make essential diffuser blends? You can get it and other mini-eBooks, cheat sheets, check lists & guides in the Resource Library by completing the form at the end of this article. The Fact Remains: We All Want to Look as Good as We Can! Don't smile. Try to remain expressionless (like the woman who hasn't smiled in 40 years). Use incredibly expensive creams, many times a day. Stay calm, and don't stress. Use botox and get fillers. Yeah. Right. Don't these just make you laugh? I'm serious! I've heard or read all of them! The media is KILLER on us poor middle-agers. While acknowledging that my skin will change and IS changing as I age, there are some things I can do to help improve the process, or slow it down a bit---without going crazy and spending money I don't have. Yep. The same essential oil found in that upscale line of French skin care products. Also called "Everlasting" and "Immortal Flower," it helps rejuvenate aging skin by increasing cell turnover. It's also incredibly soothing and healing. 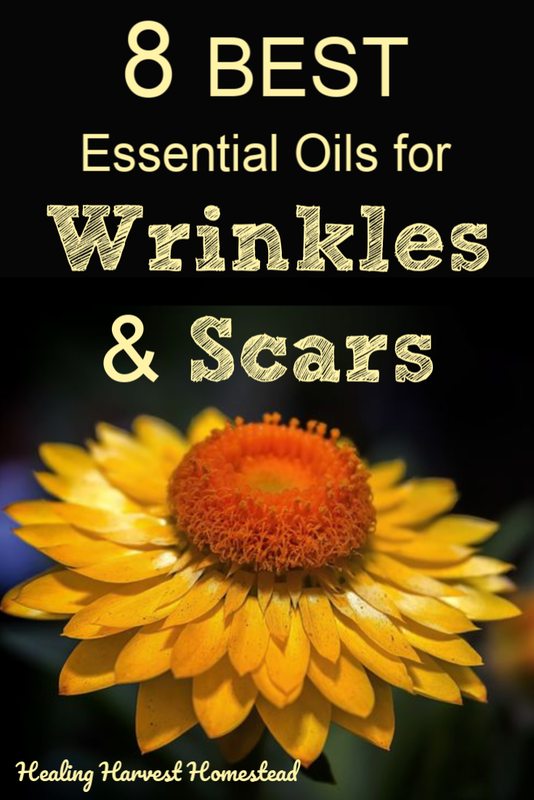 Helichrysum is clinically shown to help reduce age spots, scars, and wrinkles, too. Here's how I use Helichrysum essential oil: I use one drop in my normal moisturizer every evening. It smells so good, and that one tiny drop really works! EDIT: I have also started using Rose Hip Seed Oil as a serum on my skin at night. I add a drop to the very small amount of Rose Hip carrier oil I use. I’m loving it! One caveat about Helichrysum essential oil: It is expensive to purchase a good quality (and why would you want a poor quality oil?). Lavender essential oil from the tiny buds of the lavender plant are exceptional for the health of your skin. This is my next favorite essential oil for the skin. Frankincense increases skin cell growth, improves elasticity, and reduces signs of aging (age spots). It improves the firmness of the skin on your hands and face, too. Here's how I use Frankincense essential oil: I use a very high quality Frankincense from doTerra because I can use it neat (without dilution) on the backs of my hands if I don’t have a carrier oil handy. 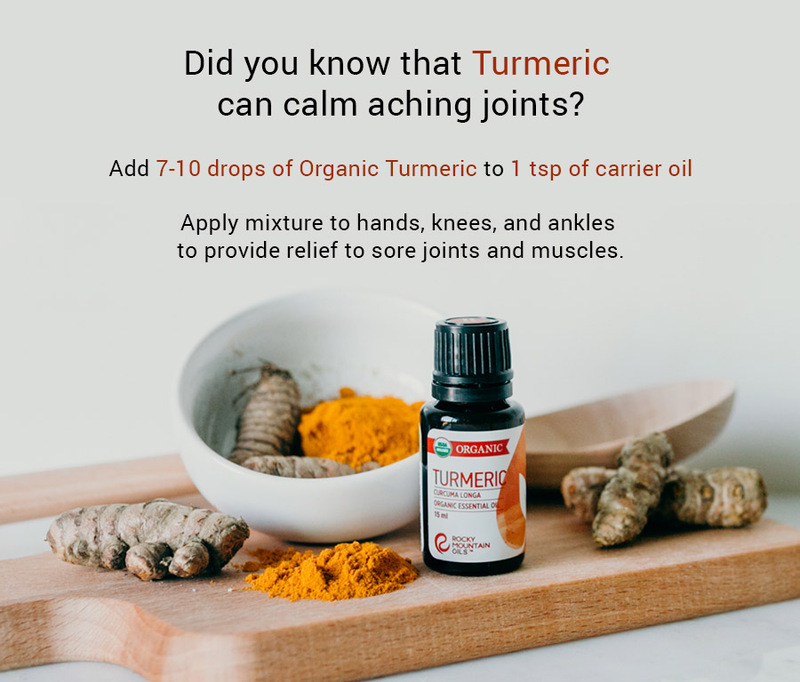 However, it is better to use your essential oils in a good carrier oil because it actually protects your skin from becoming sensitized to the essential oils, and it helps the power of the essential oil last longer. I also use a drop in the morning and a drop in the evening in my moisturizer for my face. I've actually used it directly on my face and under my eyes, too, but I think it works really well when combined with a natural (or nearly natural) moisturizer. Frankincense essential oil is not as pricey as Helichrysum essential oil, but it is still very expensive, in my opinion. It's worth it, though. Keep in mind: Quality essential oils are expensive, and that is because of how much plant matter is required to create even a small amount of essential oil. Add to that the type of process used to obtain the essential oil, the purity of the essential oil, and other factors. I'd rather spend a bit more and be on the safe side, myself. Adding your own essential oils to products you make or purchase is still a LOT less expensive than that French skincare store! You can find out more about the benefits and uses of Frankincense Essential Oil here. My third favorite essential oil for helping combat wrinkles is Lavender essential oil. It's not nearly as expensive as the first two oils, either! Just be sure, once again, you are buying a quality essential oil, without additives or chemicals. Lavender contains a high level of anti-oxidants that nourish your skin and help fight free radicals that cause skin damage. It also soothes and helps perk up tired skin. Another way lavender helps your skin is in a rather round-about way. Since it is proven to reduce emotional stress and anxiety, it helps keep you calm. When you are calm and happy, your skin will be happier, too---and be less likely to age more quickly than it should. Lavender also helps you sleep, which helps your skin as well. How I use Lavender Essential Oil: Lavender is one of my favorite essential oils to add to my soaps. I can add a slightly greater amount because it's less expensive than the first two oils. Another way I use lavender is I rub it into my temples and around my hairline before I go to sleep at night. 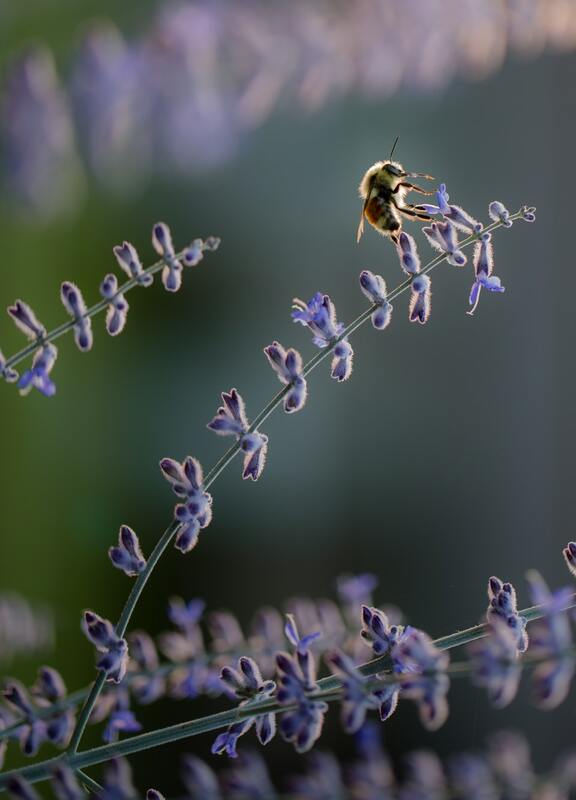 Find out more about the uses and benefits of lavender essential oil here. AND, if you want to make your own soothing lavender salve, you can find that recipe here. You either love or hate the smell of Patchouli. I am a person, luckily, who loves it. I have even been known to dab it on here and there as a perfume! Just call me Hippy Lady. Whether or not you love or hate Patchouli essential oil, the fact remains it is great for your skin. Most notably, it is anti-inflammatory and helps prevent photo-aging (skin damage from the sun). How I use Patchouli Essential Oil: Because of its strong scent, I do use it judiciously in skin creams. However, it is one of my most common additives in the soaps and cleansers I make. I'll use a drop in my body creams, though. I'll admit---I love Rose essential oil, but I don't use it because it is way out of my price range. However, if you can afford it, it's a fabulous essential oil to use to combat aging skin. Brands touting "pure, undiluted" rose essential oil that are not very expensive are fibbing. Please be sure you know your ingredients. Rose essential oil helps keep your skin moist, and helps the elasticity of your skin. It also may encourage new cell growth, reduces inflammation on the skin, and protects the skin from free radicals. Rose essential oil also smells insanely and amazingly wonderful! Do you love the smell of roses? You can find my recipe for Rose Petal Salve as well as how to make Rose Petal Body Scrub in these links! Rosemary is an aromatic herb, and when the essential oils are distilled from the plant, you have some powerfully stimulating solutions for a variety of skin (and hair) issues. Based on my research, Rosemary essential oil can help combat wrinkles and help firm up your skin. It's great for circulation, too. However, I would not use Rosemary essential oil on overly dry skin, because it helps reduce excess oils on the skin as well. It's really great for oily skin or skin with acne. If you are a maturing person and are dealing with excess oil or acne, you might want to try adding a drop of Rosemary essential oil to your regimen. Rosemary is a stimulating essential oil. It has been used added into shampoos and conditioners or shampoo bars and vinegar rinses to help with thinning hair because it stimulates the hair follicles. Lemon essential oil is great for helping prevent wrinkles because it can aid in exfoliating the skin. It also contains a very high amount of Vitamin C, which helps reduce fine lines and wrinkles. If you are going to use Lemon essential oil on your skin, just be aware that it is photo-toxic. This means that it can burn your skin if you go out in the sun with it on. Therefore, do not use it in your creams during the daytime. Use at night only. If you like, just add a drop to your nighttime moisture or cleansing routine. A little lemon essential oil goes a very long way! Carrot Seed Oil can be used either as an essential oil or in carrier oil form. Either way, it is fantastic to use on your skin. It smooths and repairs the outer layer of your skin, and has a high level of flavonoids, which help with inflammation. Carrot seed essential oil smells REALLY strong, though, and a little tiny amount goes a very long way. I really like using the carrot seed oil extracted from carrots along with a drop of the carrot seed essential oil. It’s a powerful pair! If you've ever wanted to try making your own natural soap using the hot process method (traditional and fast), my eBook tells all, plus lots of ideas for you to customize your soap the way YOU want it! Also available on Amazon Kindle. Helichrysum essential oil comes from the “Immortelle,” the Immortal Flower. Grown mainly in France, it’s no wonder the French ladies have such wonderful skin! Here's a recipe I use and really like. Making your own skin care products is a wonderful thing because you have total control over what you want to go in them! AND, if you are not into DIY, you might want to try this serum from L'Occitane---a representative assured me they are 95% natural/organic, and I have loved their products in the past, when I was working. However, you really CAN make a great serum on your own! Using a 10 mL container, add the essential oils first. Then, using one of the carrier oils above, or a combination of two or all four, fill the remainder of the bottle. Smooth a few drops over your skin in the evenings. Your face will LOVE you! I admit. Like many, I was taken in by the big MLM (Multi-marketing or network marketing) companies. Although their essential oil products are fantastic, they want you to believe they are the ONLY best ones to buy, and I have since discovered through months of research---this is not true. There are five main criteria I use to ascertain if an essential oil brand is good enough for me to use with my family, and you can find out all the details for choosing a good brand in that link. Here are my personal favorite brands I have found that meet these criteria: Plant Therapy, Rocky Mountain Oils, and DoTerra. I also love Starwest Botanicals, especially if I’m making handmade soaps. There are other great companies—don’t get me wrong. Just do your due diligence, and do not buy essential oils from local markets. When you look at the ingredients in very expensive creams, you will find essential oils. That's because they work! I am a believer in making my own, though (you know, the self-reliance thing), and I don't want to spend the money these inflatedly expensive creams cost....so I use a quality, mostly natural (or all natural if I can find one--or make my own) cream and add my own essential oils. Making your own skin care products this way gives you a more powerful bang for the financial buck, PLUS you have an amazing product that is likely a GREAT deal better than anything you could buy. Have you tried making your own facial products? I'd sure love to hear your experiences with this! And if you have a recipe or combination you love, please share it with us in the comments! There are MANY more articles on the website about essential oils, too! P.S. If you haven't signed up for our newsletter yet, I hope you'll join us by clicking the link! You’ll get immediate access to my growing Resource Library I created just for you. And you can immediately download anything you want, there, including my guides: Essential Oil Blend & Recipes for the Cold & Flu and The 5 essential oils you need to have in your home! There’s lots more (guides, mini-eBooks, checklists, cheat sheets, and more) over in the Resource Library too! 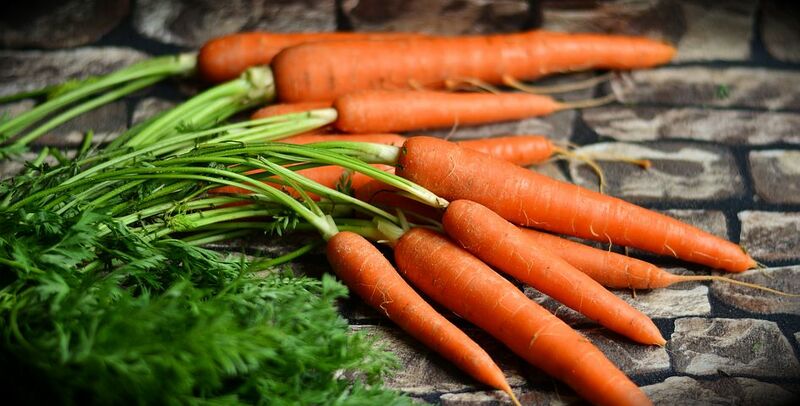 Carrots contain compounds that are fabulous for your skin! Carrot seed oil, in particular, is wonderful to add to your skin care regimen. Disclaimer: Using essential oils appears to be a simple, safe, and effective way to combat aging and improve health. However, essential oils are very powerful, and people respond differently to them since they are plant substances. If you have allergies or sensitive skin, you should speak to a doctor first. I am not a medical doctor, and the statements made in this article, elsewhere on my website, and in any publication of mine are simply my personal opinions based on experience and study and are for informational purposes only. In no manner, stated or implied is any statement made herein meant to treat, diagnose, prevent, or cure any health issue. Please seek medical attention from a doctor. These statements have not been evaluated by the FDA. *** This article has been shared on The Homestead Blog Hop!